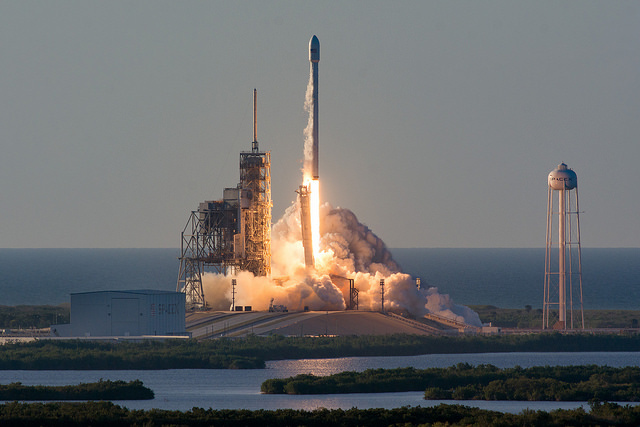 CAPE CANAVERAL, Florida - The U.S. Air Force is preparing for weekly launches from Florida's Space Coast. Currently, the 45th Space Wing is on track to support thirty launches this year from Cape Canaveral Air Force Station and Kennedy Space Center. The space wing and its Eastern Range assets provide a vast network of radar, telemetry and communications instruments to facilitate the safe launch of all Department of Defense National Security Space, NASA, National Oceanic and Atmospheric Administration, and commercial operations. According to Brig. Gen. Wayne Monteith, the 45th Space Wing commander, the wing is developing plans to enable a launch a week to meet the growing demand of national, civil and commercial organizations to put capabilities on orbit. One key initiative in reducing the time between launches is the implementation of the Autonomous Flight Safety System (AFSS). The system enables the 45th Space Wing to support more launches by expediting range turnaround times with more stringent safety standards, all while cutting launch costs. A self-contained, independent system mounted to the launch vehicle, AFSS determines if the launch vehicle poses an unacceptable hazard to people or property by using pre-established, programmed mission rules developed by Range Safety Flight Analysts. These configurable software-based rules are reliant on redundant flight processors using data from Global Positioning System and inertial measurement unit navigation sensors. If necessary, AFSS has the ability to destroy the rocket to ensure public safety.